Top Talent For Topsy Turvy Challenge. Yes, the lovely Lynn is back for a second time as Top Talent for the Topsy Turvy challenge run by Lys. Lynn produced a beautiful project for the challenge and is a very deserved winner. Where do you live? I live in New Haven, Connecticut - on the Northeastern shore of the US. If you had a time machine that worked only once, what point in history would you be most inspired to visit and why? I would love to visit the period encompassing the Renaissance era through the Elizabethan time - because this time period provides such rich detail in all dimensions. I think of the wonderful sculpture, painting, poetry, song, theatre, dance, costume.... endless inspiration! Besides crafting, what other hobbies or talents do you have that you'd like to share with us? 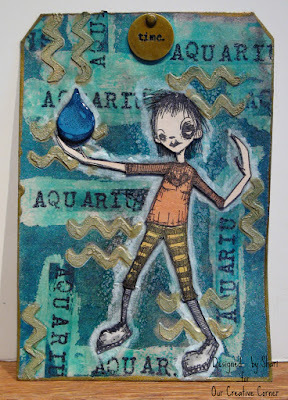 I came to paper crafting from art quilting, which I have put on hiatus due to the time involved to create a piece. 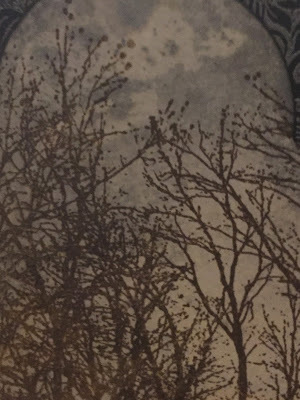 I am trying to learn how to paint with watercolors, and have also signed up for a lettering course - I love handwriting and want to improve so I can add some spontaneous lettering to my art journal or other projects. What colour do you hardly ever or never use in your work and why? Hmmm - this is a hard question! 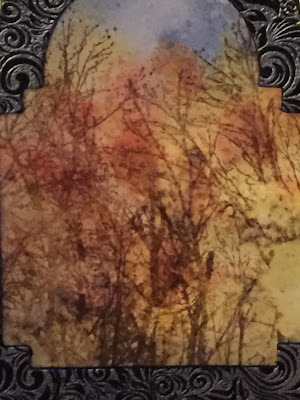 I love colors, and use virtually all of them..... but I am learning to work with the brown and grey palettes. 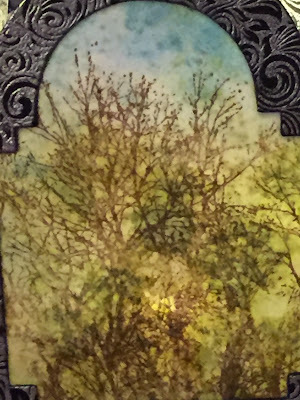 I tend toward bright colors (a holdover from my art quilting) - but have learned to appreciate the subtlety of the softer neutral colors in the world of paper. If you had to choose between paint or ink, which would you select and why? Another challenging question! Probably paint, because I can manipulate the intensity and coverage more readily, and also because it acts to protect my paper when I want to get wet and messy with other mediums! 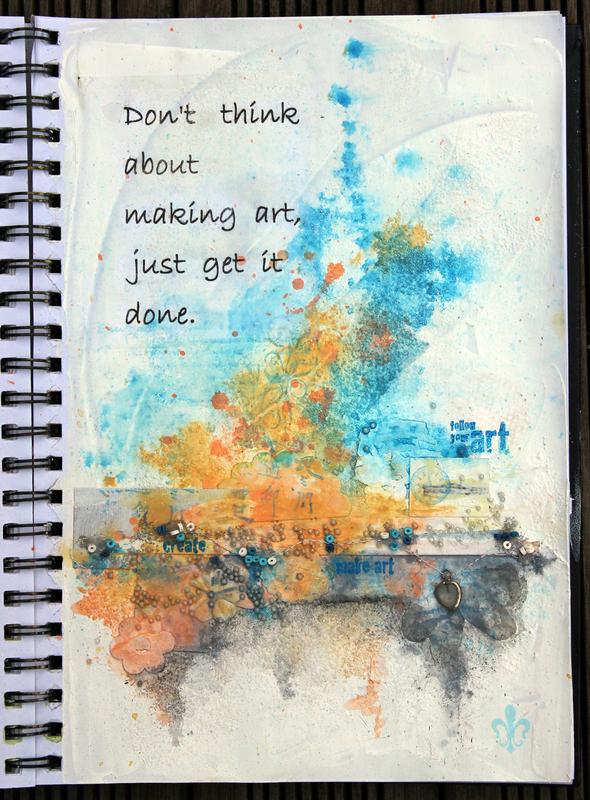 Do you work on more than one project at a time or do you prefer to complete one piece of work before starting another? Generally, I work on one project at a time, because my space is very limited. 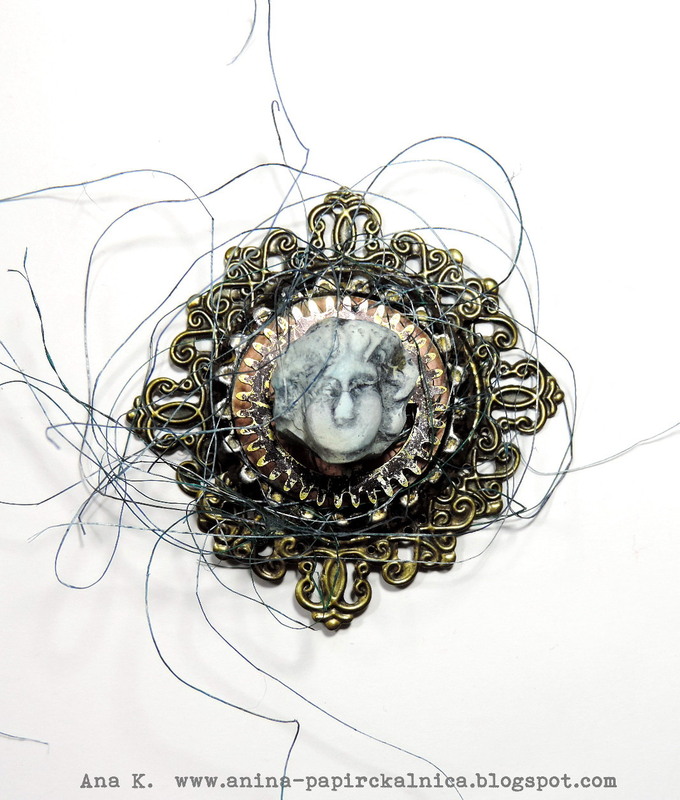 Often, my attempts for something go awry for that project, though, but still lead me into something else - so I tend to have a large "to-do" or "scrap" pile around! 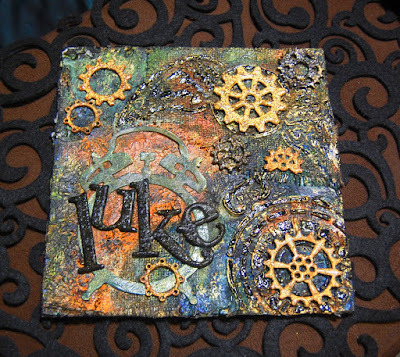 Such a creative and wonderfully unique piece of art you have made for us Lynn! 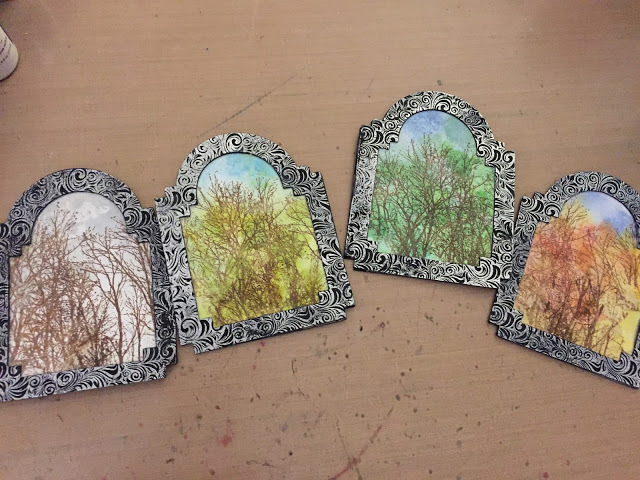 I love how you've used the view from your window as the starting point for your art. It's been wonderful sharing time with you over the last two Top Talent Spots and we really hope to see you play along with us again. Thank you Lynn for all your hard work and I for one will most certainly be visiting to find out just how you made this lovely project. Please be sure to pop over and see the full post about Lynn's piece by following the link to her blog above. Please be sure everyone to come back next month when I will be sharing the work of our next Top Talent artist. In the meantime, have you joined us in our January challenge yet? It's called Make Time: Mood Board Challenge and you will find all the details if you click here - there's still time! I am so pleased to be bringing you our January Sponsor Spotlight. 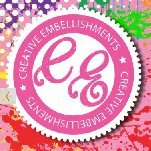 Our wonderful Sponsor this month is Creative Embellishments! 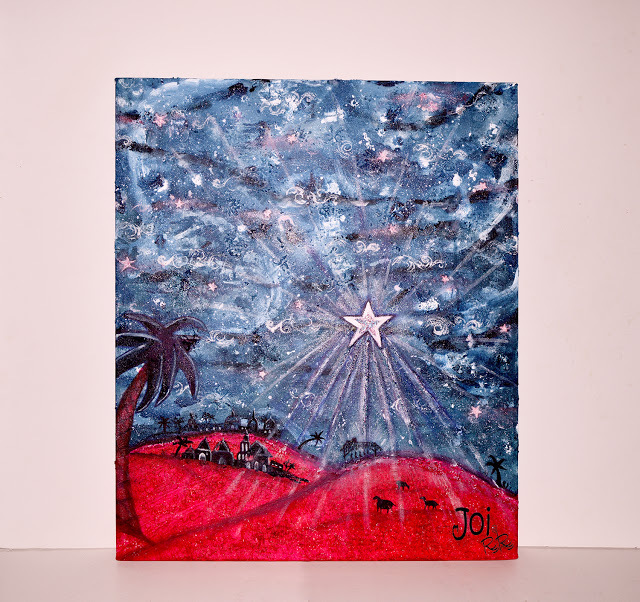 I then painted over it with White Acrylic paint and Iced Spruce Distress Paint to make the snow and sky background. I covered the snow area with glue and sprinkled it with Rock Candy Distress Glitter. 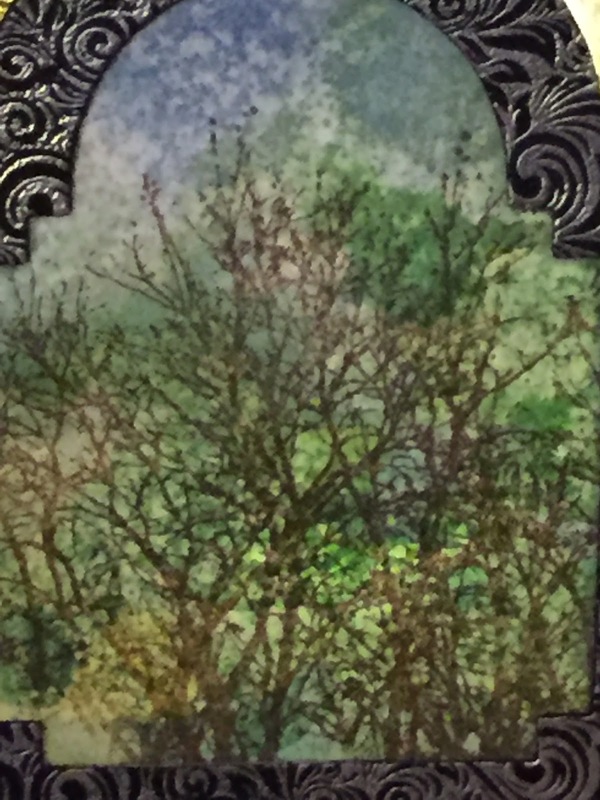 I then painted the berries with Quinacridone Red Decoart Media Fluid Acrylic paint and when dry I added blobs of Decoart Liquid Glass to add a berry shape. I dabbed the leaves, wreath and berries with white acrylic paint then covered the wreath with Rock Candy Stickles glue and sprinkled a little extra Rock Candy Distress glitter to add some lovely frosty texture. The robin was painted with Frayed Burlap Distress paint and Ivory, Red and Burnt Umber acrylic paint. I stamped some snowflakes and diluted some white acrylic paint with water and splattered the thin paint over everything to look like snow. Hope you like my Winter Wonderland Spotlight! Come and join in with Claudia's challenge this month to be in with a chance to win $25 worth of Creative Embellishments goodies! Trish here with the winners and Top 3 of my Wish Upon A Star Challenge! So many amazing entries, I had a wonderful and very inspirational time hopping around all of the blogs looking at the amazing creations! Thank you all so much for playing along. Congratulations April! Please email us, and we will make sure you receive your Tando prize. So, I now have the pleasure of announcing my Wish Upon A Star winner! These stars are AMAZING! Yulia has taken 2 sheets of acetate, and sandwiched beads, sequins and lots of other inclusions between the 2 sheets. She has then used a sewing machine to create star shapes... resulting in some absolutely wonderful transparent bases upon which to add all the extra details and layers. I am going to have a go at this for sure! Congratulations Yulia! So much texture, so many layers and a fabulous scene! Love it! 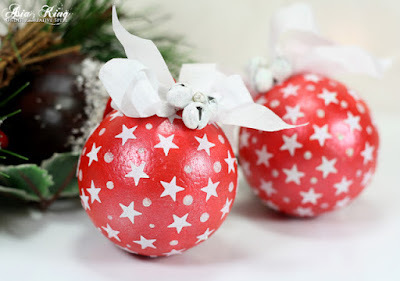 These baubles are just gorgeous, wonderful colour and a perfect finishing touch with the bells! I love the cute and quirky vintage feel of this assemblage, the handmade snowman is wonderful! Congrats Yulia, Joi, Asia and Jess! Your blog badges will be on the way soon! Want to be in with a chance of being featured as a winner next month? 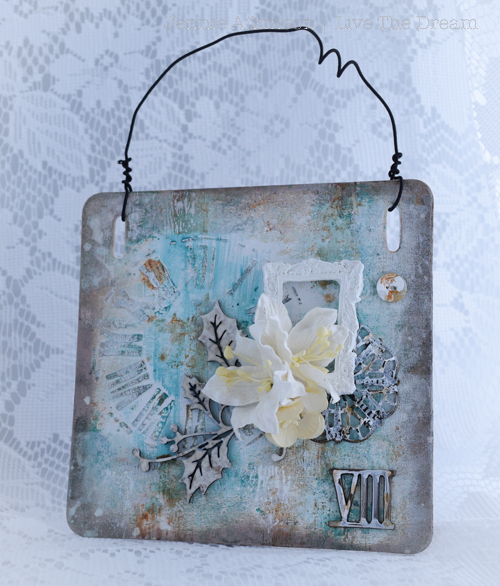 Then take a peek at our current challenge 'Make Time' which features an inspiring mood board chosen by Claudia. We can't wait to see your entries! Why not promise something good to yourself for the new year's start? To make more quality time for yourself for example and spend it doing what you love? Creative (or recreational) time always is quality time if you listen to your inner voice and follow your own speed instead of listening to the clock ticking and reminding you of deadlines or other duties. And work will be done so much more easily (and faster) after some recreational me-time as it will have fueled up your energy! I promise! So why not escape the endless circling and rushing and get yourself in the right mood for some me-time? The mood board I have in store for you could be a good start. I challenge you to calm down, enjoy what you see and let yourself be inspired by it. No precise theme to narrow your creativity down - just the colours, shapes, directions, textures and hints of possible themes. Whatever you make of it - it will be good! Whatever it sparks in you - I want you to show it and have a good time at your studio desks! 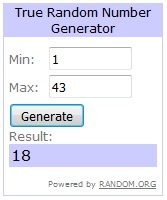 They will be giving the randomly selected winner a $25 voucher for their store! So don't miss your chance to win some of their fabulous chipboard pieces!!! But now on to the highly inspirational makes of the Design Team! I am sure they will spark some great projects ideas and can't wait to see what you will be entering! When looking at the moodboard for the first time my spontaneous thoughts were "Metal, yesssss!!! Oh, and my favourite patina and copper tones. Coooool!" 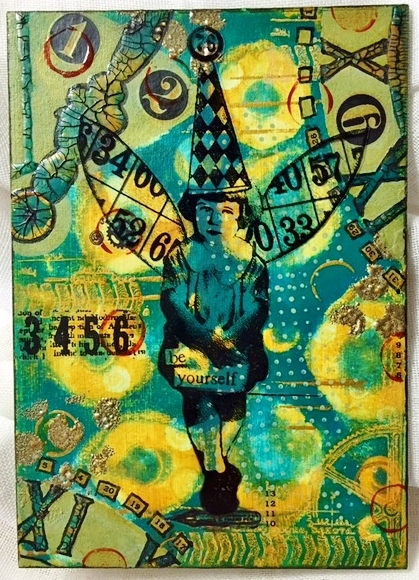 I used the blues and greys from the moodboard, combined numbers and circles to create a New Year tag. I wanted copper and rust with textures! I started with a masterboard and the tag evolved. It was a calm and peaceful creation. 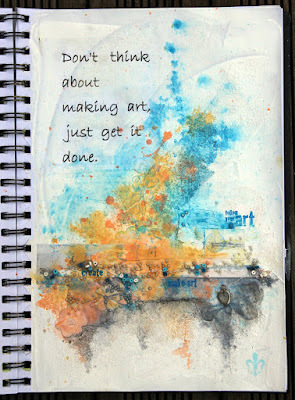 Such a perfect challenge for when inspiration is lacking! - after being away from the craft table for ages I needed a shove to get going again....perfect subject and colours and plenty of freedom to do whatever you like! What could be better? 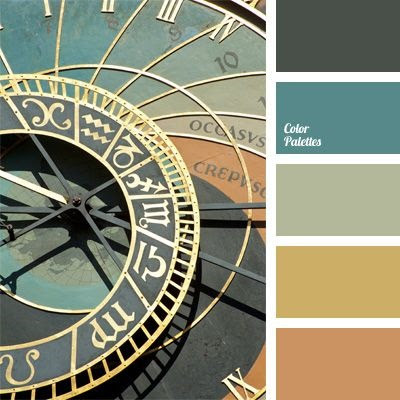 From the moodboard - the colour scheme and the element of clocks, time and clockworks appealed to me. My little nephew is visiting right now and I made a little mixed media canvas to hang on his bedroom door. I took the wonderful colours and themes from the moodboard and Claudia's advice to just "create" and this little hanging was the result! I used some paints new to me and brayered them on to the board which has resulted in a wonderful rustic feel. A most relaxing and creative playtime! Claudia's Make Time Moodboard with its colors and touches of brass and those astrological signs took me straight, to well, ME! My birthday is in January and I'm an Aquarius so I thought I'd make a funky, stubby tag to celebrate the sign of the Water-Bearer. Fortune teller was my first thought when I saw zodiac signs on photo…I added colour combination to my idea and created little fortune teller magnet. Claudia's wonderful image board inspired my colour palette and background details. I had no idea other than that where I was going with this piece and the freedom it gave me to create was amazing! Thank you so much for this fabulous kick start to the new year! I thought along the same lines as Claudia! I made a bracelet.... Artisan lampwork, ceramic and glass beads strung onto waxed linen, finished with a hand forged copper clasp. WOW! What an amazing start to the year from the OCC team! Why not make time for the challenge this month and you could be a winner here at OCC! 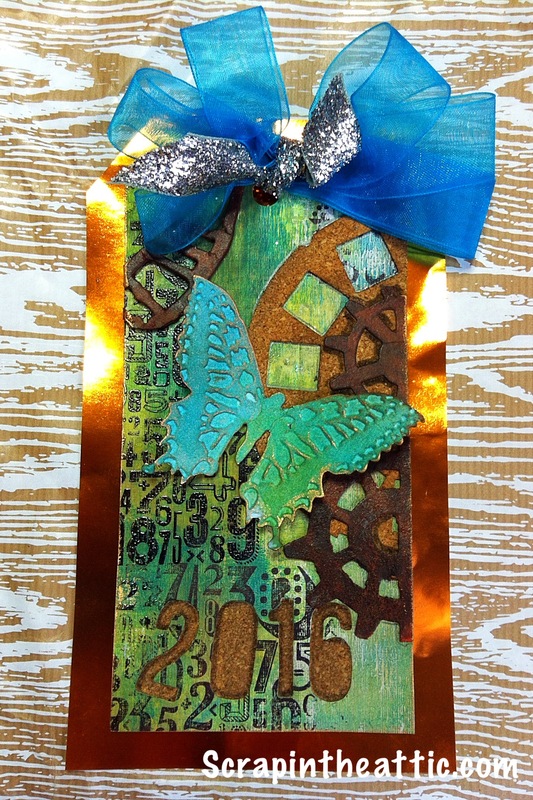 You could win the $25 voucher from Creative Embellishments or be here as our Top Talent!